We started the preparation for Ylläs hike at Nurmijärvi campus. We outlined the plan, our goals, and the schedule. Basic safety and risk management were part of the preparation process. We got detailed information about the equipment for the hike. We found it useful since we still had time to update our own gear. Our teachers also provided a small flea market for us, so we could buy some missing equipment. As we arrived, we needed to create a meal plan for our stay at Kuerkievari hostel. For that purpose, we formed groups based on different diets and needs. In addition, our study group was randomly split into smaller teams of 2 to 4 persons, i.e. “tent groups”. As the first week went by, we got to know our small group members better. We had an informative and proactive lesson on how to form socially, mentally and physically safe tent groups, which helped us to make it on our own. We trained together how to use our shared gear, e.g. tents, tarps and stoves. Within our tent groups, we also had a fashion show for the personal gear and clothing that we were about to take with us for the hike. 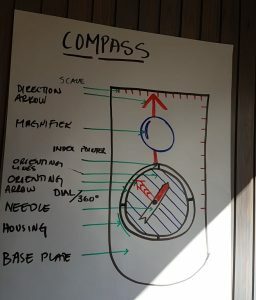 During the lessons on orienteering and navigation, we also learned how to do proper route planning with a map. We were familiarized with the map legend, map signs, and how to count elevation. 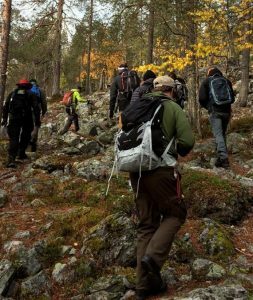 From theory to practice, we went for a walk to the nearest fell Kuertunturi and tried out map reading, navigation and orienteering. 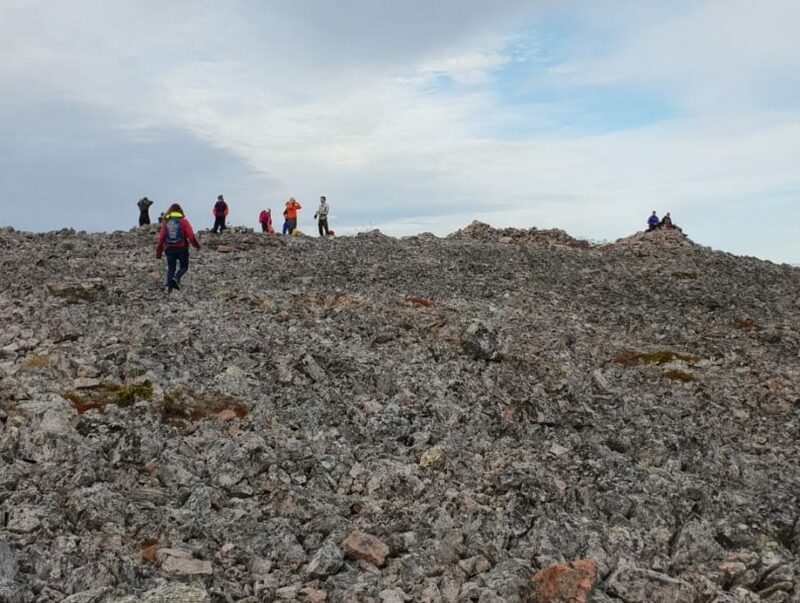 We walked on rakka, a rocky part of the landscape in Lapland, and got amazing view from the top of the fell. Descending was done in small groups, so everyone took their own turn as a team leader. During our pre-hike period, we learnt how to implement an initial idea, step by step, into real action with the help of reasonable goals and pedagogical approach. Forming the tent group felt safe and democratic, and we learnt a lot from each other by talking openly about our needs and preferences. We were well prepared for the actual hike.